Alexander the Great. Check out that hair! Alexandria, at this point, was the second city of the Mediterranean, only behind Rome in terms of population and wealth. It was founded in 334BCE by Alexander the Great; his general Ptolemy ruled it on his death. Ptolemy was Greek and he and all his descendants acted and spoke Greek. It was the official government language (Cleopatra and Antony). But Alexandria is also Egyptian – Ptolemy styled himself the new Pharaoh, going so far as to adopt the brother-sister marriages the Egyptian pharaohs practiced. Egyptian women had more control over their lives than you might think: they were traders, owned barges (Egypt grew more grain than any other Mediterranean country [Cleopatra and Antony, p12] and transporting it was a great way to earn a living), and could initiate divorce proceedings. Women inherited property equally and independently. (Cleopatra, p 24) They ran their own businesses. Women went into the markets while the men tended the looms at home (the opposite of Ancient Greece). Overall, Alexandria was a cultured and modern place. Rome was slowly taking over the entire Mediterranean. It conquered Carthage – near modern Tunis, Tunisia – in 146 BCE, and Pompey (a Roman general whose name will come up again) conquered Macedonia, Syria, and Jerusalem in the early 60sBCE. 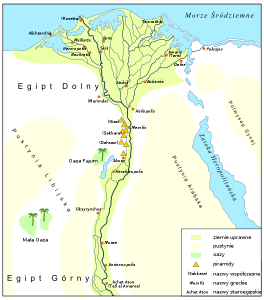 Egypt was becoming surrounded by Roman land and forces. In fact, Egypt had made a series of treaties and agreements with Rome going back to 193BCE, but the agreements were more and more in Rome’s favor. All the brother-sister intermarriage wasn’t helping the Ptolemaic bloodlines. Cleopatra’s grandfather wasn’t right in the head; there’s a particularly gruesome story about him dismembering his own child. (Cleopatra and Antony, p18) Ptolemy Auletes – Cleopatra’s father – was rumored to care more about the arts than governing. Which doesn’t make him crazy, but might make him incompetent. 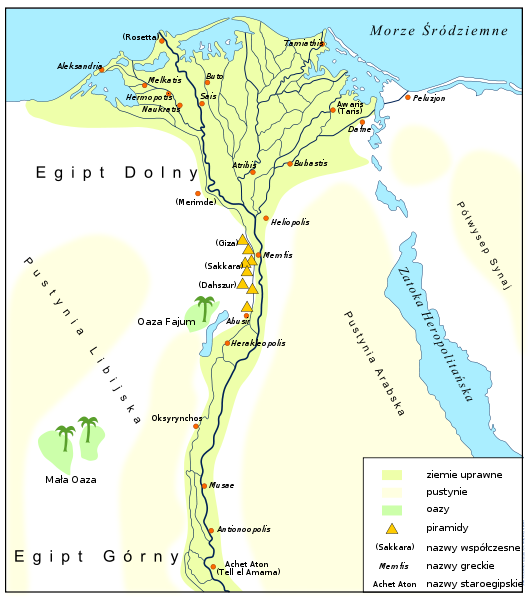 Rome annexed the Egyptian province of Cyprus in 58BCE. Auletes couldn’t retaliate militarily and was forced to travel to Rome to bribe various senators to get the island back. The Egyptians weren’t happy about losing Cyprus without a fight, and as soon as Auletes left, Cleopatra’s older sister Berenike seized the throne. It’s worth mentioning that no one knows where eleven-year-old Cleopatra was during this coup. She may have been with Auletes in Rome, where she would be getting a lesson in diplomacy. Or she may have fled to the countryside with her handmaidens (many of whom were her illegitimate half-sisters), getting a lesson on how to relate to your subjects. Either way, she was gaining valuable experience. Auletes ruled until 51BCE, and the last year of his life he co-ruled with Cleopatra. His popularity had never recovered from the whole Cyprus incident. Cleopatra was 18 and she was effectively co-leading Egypt with her ill father. Next week: Auletes dies. 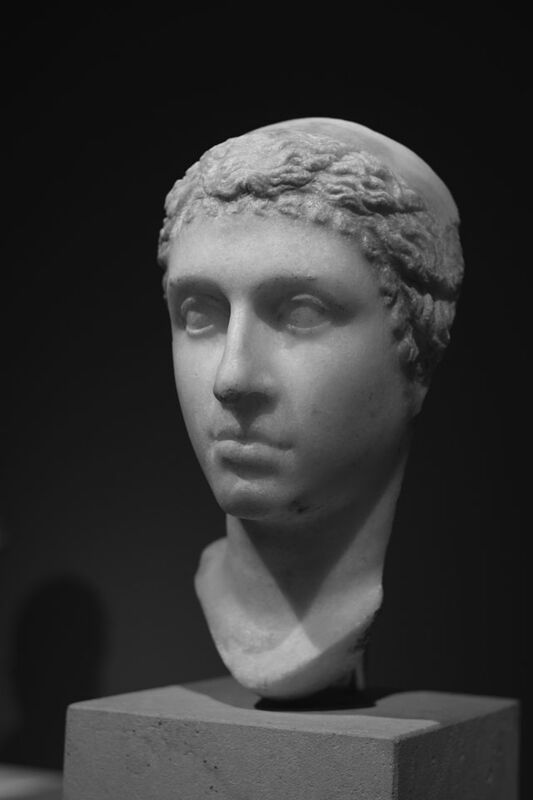 Cleopatra is forced to co-rule Egypt with her younger brother-husband Ptolemy XIII. It doesn’t go well. Previous Previous post: Clickbait headline: why is this book so inspiring?